We came, we saw, we carved. 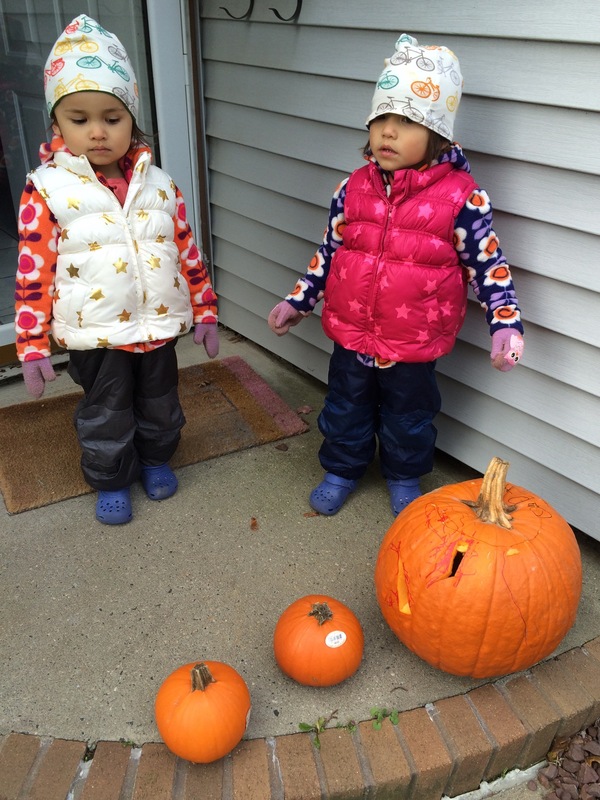 Yesterday Zoey and Nomi drew their pumpkin designs and today I carved. It was chilly this morning so we wrapped up warm and tackled the big pumpkin. They were more than satisfied with the results. 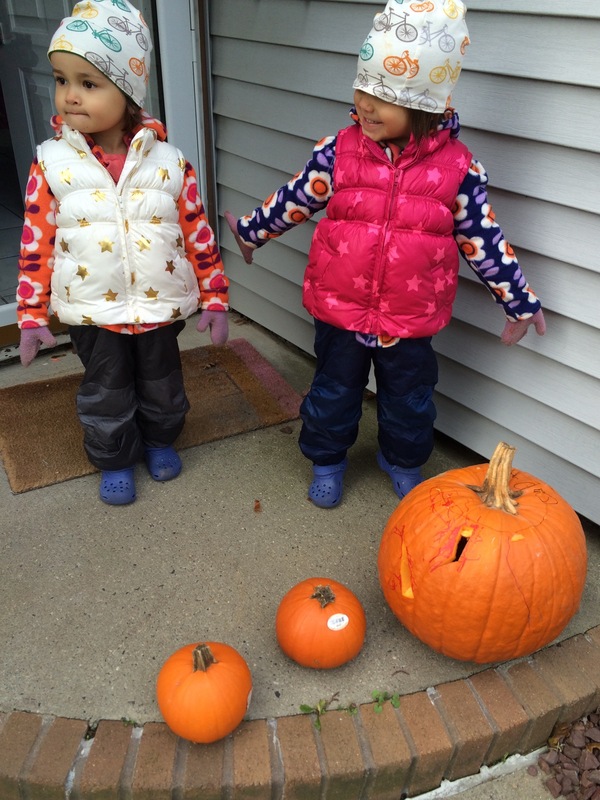 At times toddlers are very easy to please: pick pumpkins at Home Depot and carve some shapes in. 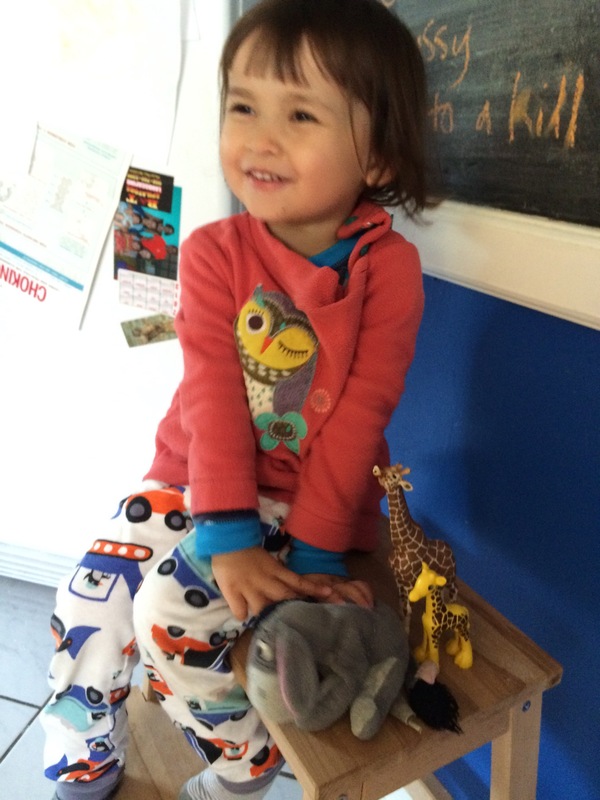 Over the last few weeks they’ve both started making their figurines and animals talk and act out scenarios. 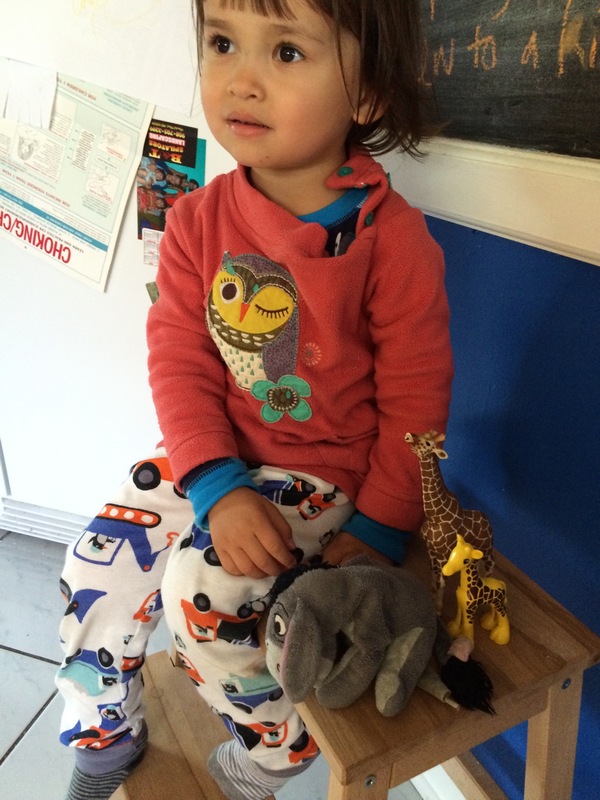 It’s wonderful to watch, and today Nomi had two giraffes with her: Little Nomi and Big Daddy! Too much. Heart explodes.